Serving Eugene Springfield and Greater Lane County. If You're looking for a chiropractor in Eugene... Unlike conventional western medicine, which attempts to treat disease and symptoms once they occur, the Eugene chiropractic care offered at Conservative Pain Solutions, LLC in Eugene emphasizes improving your health through prevention in an effort to reduce the risk of pain and illness in the first place. If you are suffering from back pain, you have an effective and safe option at Conservative Pain Solutions in Eugene Oregon. - Located adjacent to Pet Smart, near Costco. Don't wait another second to begin your road to recovery! At Conservative Pain Solutions, LLC, our chiropractic techniques will enable patients to uncover a life of health and wellness that had been previously known but long lost. GET WELL & HEAL FAST! For others, their Eugene chiropractic journey may offer a new sense wellness, and balance to their life that they have never before experienced. If you want to start living every day free of pain , call us at 541-654-5499 to schedule an appointment! People worldwide are recognizing the benefits of seeking safe, effective alternatives to traditional medicine, such as chiropractic; one that will assists them achieve and maintain optimal health without requiring invasive treatments such as surgery. Please take the time to meet our favorite Eugene chiropractor and the network of chiropractic care professionals dedicated to helping You achieve your wellness goals. To more fully understand the nature of your health, we encourage you to join the free chiropractic website membership program. As a patient at Conservative Pain Solutions, LLC we will personally tailor a combined chiropractic and wellness program that has been specifically targeted to your needs. We treat many common injuries such as Carpal Tunnel Syndrome, low back pain, sciatica, disc herniations, neck pain, shoulder pain, headaches, as well as many other types of complaints. Click this link to see what we may help you with! 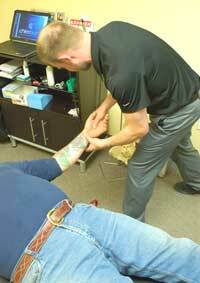 Dr. Casey Ferguson DC is your Eugene Chiropractor that is a RockTape certified "RockDoc". Dr. Casey uses kinesiology tape to enhance performance, relieve pain and aid in recovery. Dr. Casey Ferguson DC will be treating participants and taping for free at the Sasquatch Throwdown sponsored by Track Town Crossfit, and the Eugene Emeralds at PK Park this August! Eugene's Affordable, Alternative Treatment for Pain and Injury. 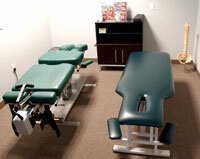 You have many chiropractors in Eugene to choose from. At Dr. Casey Ferguson's Conservative Pain Solutions, you'll find a very compassionate approach to all of your chiropractic needs. Conservative Pain Solutions provides SAME DAY appointments. We all know too well that waiting to see your physician when you are having trouble is Not going to Help!. Have a personal chiropractor consultation with Dr. Casey Ferguson, discuss your concerns, discuss your health condition and discuss potential treatment options. This consultation can be done over the phone or in person and is designed for Dr. Casey Ferguson to learn more about you and your condition. Conservative Pain Solutions will determine how chiropractic care can meet all of your goals. if given the option, most people prefer to be healthy and avoid illness if possible. Eugene Chiropractic care can certainly help those people to achieve their health and wellness goals. For situations when patients may already be in pain, chiropractic care can provide a unique, safe way to provide fast pain relief for many types of pain and conditions. Troubling conditions including back pain, neck pain, sciatica, plantar facilities, carpal tunnel and other frustrating problems. A Eugene Chiropractor can provide pain relief and pain prevention adjustments and therapy which are two of the main reasons that Springfield and Eugene chiropractic services have become so popular, here in Lane County and around the world. After your consultation, Dr. Casey Ferguson will perform a complete chiropractic examination. The chiropractic examination includes testing your reflexes, flexibility, and many other standard neurological, orthopedic, postural, and physical tests. However, nothing will be done in our office without your written and verbal consent. Depending on your specific condition, Dr. Ferguson may refer you for X-rays as well. X-rays, when indicated help us develop the most effective chiropractic treatment plan for you, and alert us of any serious spinal conditions. Most people do not require any imaging, -depending on the results of the examination, imaging may be deemed necessary. 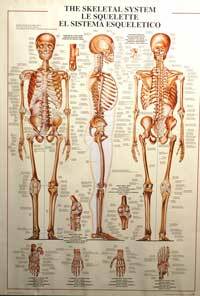 How can you help me with Eugene chiropractic care? What is the expected healing time? What will my treatment typically cost? .Dr. 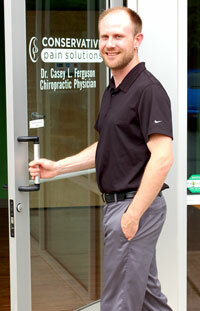 Casey Ferguson will provide chiropractic treatment and help develop a wellness program specially tailored for your needs. At the conclusion of this initial consultation, and exam, you can consent to experience your first chiropractic treatment. This may include spinal adjustments, physical therapy modalities, and/or soft tissue massage. Treatment is interactive, so you can express concerns about the different styles of treatment anytime! Prior to leaving our Eugene Chiropractic office, the doctor will suggest a wellness program to incorporate outside of treatment. If you are in pain when you first come into our office this may include: ice or heat application instructions, at home exercises, diet recommendations, and stretches. Our professional Chiropractic team will work with you to help create healthy living habits and routines to suit your lifestyle. Every person is unique, therefore everyone requires a customized wellness plan for an effective recovery. The purpose of our wellness program is for you to achieve the best spinal alignment, maintaining a healthy diet, reasonable exercise routines, and to assist in maintaining a positive mental state. Pain is a serious issue. 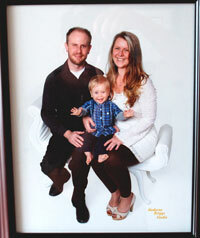 Pain is often what prompts people to visit our Eugene Chiropractic Practice. Locally, people seek a Eugene chiropractor for immediate relief of pain that they are suffering from, Most people fail to realize that pain is simply the effect of health issues. if you are experiencing pain, you want it to go away. 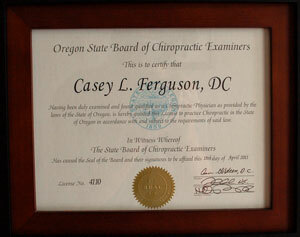 Dr. Casey Ferguson DC your Eugene chiropractor will treat you with compassion and Knowledge. 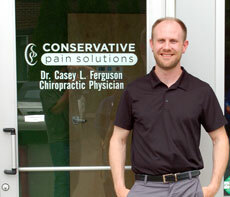 Dr Casey Ferguson of Conservative Pain Solutions in Eugene will focus on correcting the cause of your pain! Typically, people first seek care from a Eugene chiropractor because they are in pain and their traditional methods of mediating their pain (med's) have failed. In the first phase of Dr. Casey's care, the primary goal is to reduce your pain symptoms. Sometimes this will require daily visits, or two to three visits per week for a short time. Most folks are under the assumption that if they don't feel any pain they are healthy. Pain is a very poor indicator of health, and in fact, pain and other symptoms frequently only appear after a disease or other condition has become severely advanced. Elimination of symptoms is often regarded by Eugene chiropractors as the easiest part of a patients care. If treatment is stopped once the pain is reduced, the chances of the condition recurring are much greater. In order to prevent a rapid recurrence of symptoms, it is necessary to continue receiving care for a defined period of time even though your symptoms are gone. During the correction / restorative phase of your care, you will not have to receive adjustments as often as you did during the first phase of care and, depending on your particular circumstances, you may begin doing exercises and stretches either at the center or at home to help accelerate your healing process. Don't be discouraged if you have mild flare-ups in your symptoms on occasion. It's normal. Flare-ups are bound to occur during this phase because your body has not fully healed. Depending on the severity of your injury or condition and how long you have been suffering from it, this phase of your care may last anywhere from a few months to a couple of years. Once you have been returned to a healthy status, you can continue to receive the benefits of regular chiropractic care. This will help to ensure that your physical problems do not return and you maintain optimal physical condition. Just like continuing an exercise program and eating well in order to sustain the benefits of exercise and proper diet, it is necessary to continue chiropractic care to ensure the health of your nervous and musculoskeletal systems. When you make routine Eugene chiropractic care a part of your lifestyle, you avoid many of the aches, pains, and illnesses that so many people suffer through, your joints will last longer and you will be able to engage in more of the activities you love. Upon filling out the standard medical forms, Dr. Ferguson's receptionist will welcome you as a new member of our family. We always like to request that you complete our patient forms for Dr. Ferguson chiropractic Services and submit them online prior to your arrival. This health information paperwork will provide us with your health history and specific information on your condition, allergies and other important information.